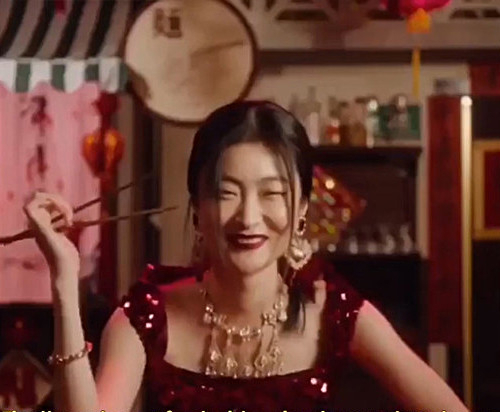 The Chinese model in widely derided advertisements for Italian fashion line Dolce & Gabbana has apologised for her appearance in the campaign. Zuo Ye said on her Weibo microblog that as a recent college graduate, she hadn’t had time to consider the effect of the ads, in which she was filmed trying to eat pizza, spaghetti and a giant version of a cannoli pastry using chopsticks. “I will grow from this experience and will better display the character of a Chinese citizen,” Zuo wrote in the posting dated Monday. Following the criticism of the ads, the Milan designers cancelled a Shanghai runway show last year meant as a tribute to China, as their guest list of Asian celebrities joined protests. Many Chinese social media users called the advertisements racist and based on outdated stereotypes. As retailers began pulling their wares, co-founders Domenico Dolce and Stefano Gabbana went on camera to apologise. The pair appeared in a nearly one-minute video posted on Weibo, saying they hoped to be forgiven and will do their best to better understand and respect Chinese culture. The advertisement controversy was aggravated by insulting remarks made on the Instagram accounts of both the company and Gabbana against China and Chinese people. The company blamed hackers for the Instagram comments.